Partner Pawn Personal Quests are special quests introduced in Season 2.2. They are marked with a green icon in the player's quest log, just like Personal Quests and Board Quests. Players can perform quests with their Partner Pawn in order to obtain rewards and to increase the Partner Pawn's affection level. In order to unlock these Personal Quests, the Partner Pawn's affection level must be at the required level. 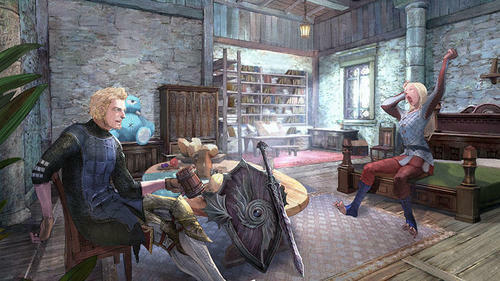 When the affection level is sufficient, the Grant Request - お願いを聞く option will appear in the menu when speaking to the Partner Pawn while in the Arisen's Home. Note that the Partner Pawn must be in your party. The requests range from taking the Partner Pawn to a specific location, to giving the Partner Pawn a specific item. Only one Partner Pawn Personal Quest is available each day, if any. They are also in no particular order.